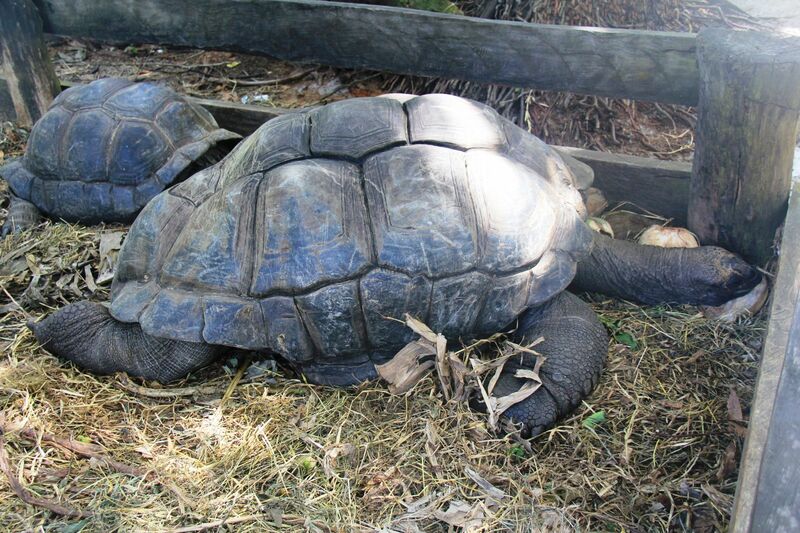 Giant Tortoises. 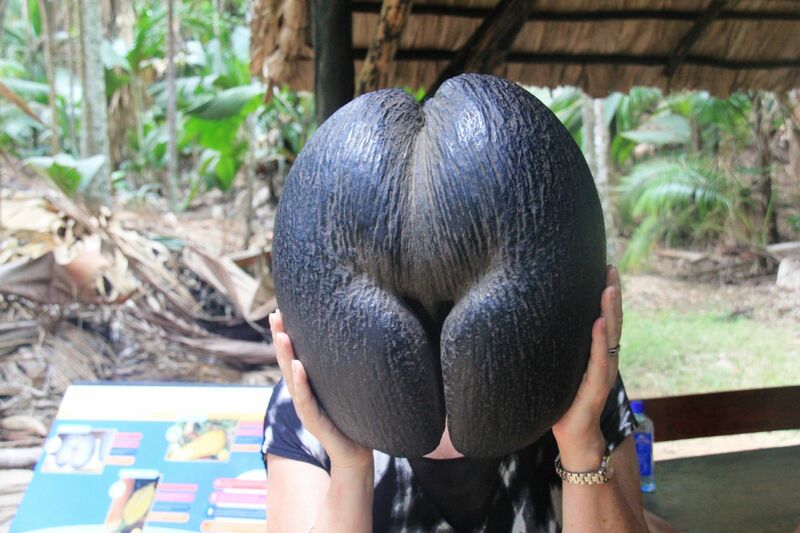 Coco de Mer. The legendary Anse Source D’argent beach. Creole cuisine. 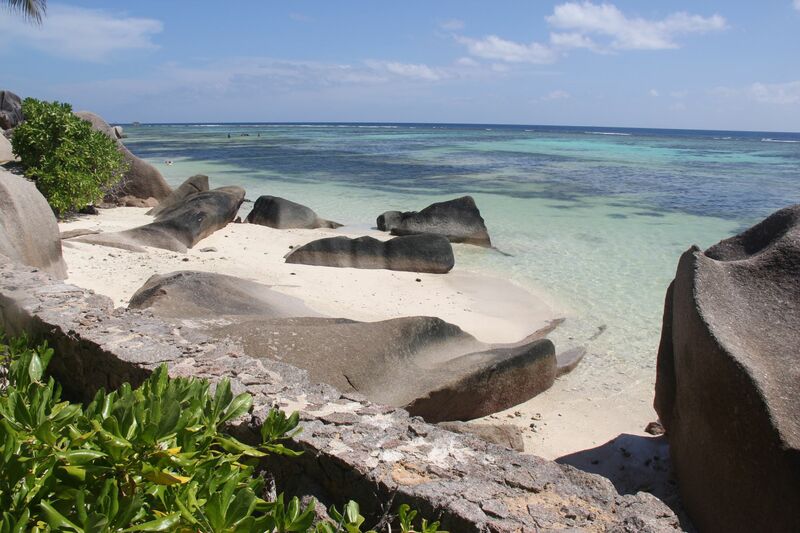 Four world class attractions to discover in The Seychelles, but there are many more of course. With year round temperatures rarely falling below perfect, rainfall lasting between a coffee break and never depending on the time of year, and never a cyclone in sight, this necklace of 115 islands in the Indian Ocean is a rare place of tropical wonderment that demands to be visited. But faced with such perfection,if you are deciding what you should plan to do and see, here is the TripReporter guide to the best things to do in The Seychelles. Essentially,The Seychelles islands are made up of two distinct parts: the Inner group, where you’ll find the of mountainous granite peaks and dense forests of the main islands of Mahé, Praslin and La Digue, and the sparsely populated Outer group where small flat coral based islands are self contained little worlds and include Aldabra, the largest raised coral islet in the world. The Seychelles Outer islands stretching out towards the east African coast, are mostly uninhabited, but can be visited on day trips. it’s the Inner islands that are The Seychelles beating heart; where you’ll find most of the Seychellois people , the luxury hotels and resorts and the main points of interest. 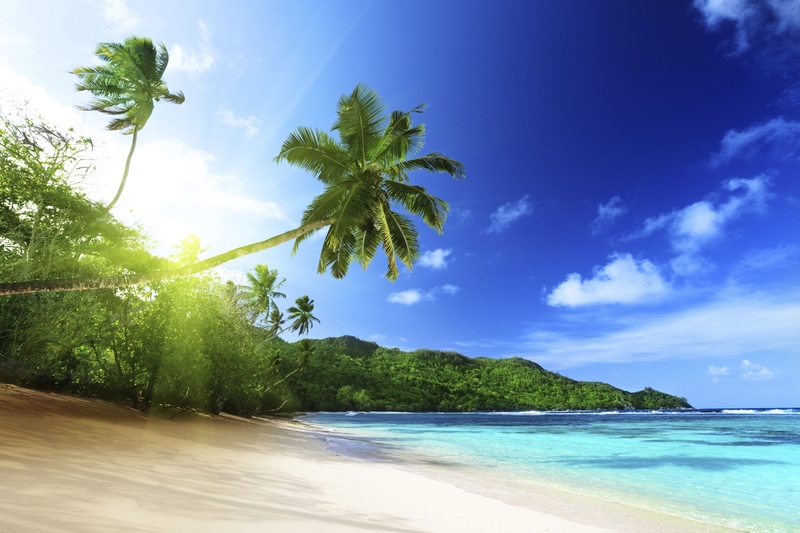 Mahé is the The Seychelles’ biggest island and it’s where you’ll first set foot by plane or ship. It’s the perfect place to kick off your Seychelles experience for a few nights with an abundance of hotels from international luxury brands to more modest family owned B&B’s. The world’s smallest capital more than makes up for its diminutive size mixing international finance and politics with authentic local colour, a busy market and two cathedrals no less. It is also where you’ll find the ferry port to get across to the other islands. 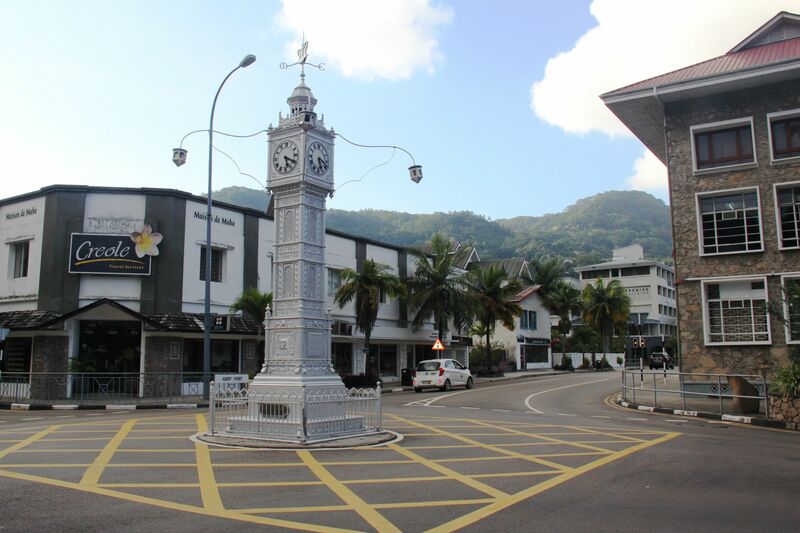 Look out for the clocktower Little Ben, a smaller replica of London’s famous Big Ben (although this one is painted silver) erected in 1903 to celebrate the Golden Jubilee of Queen Victoria in 1897.You can find its older original brother close to Victoria station in London. 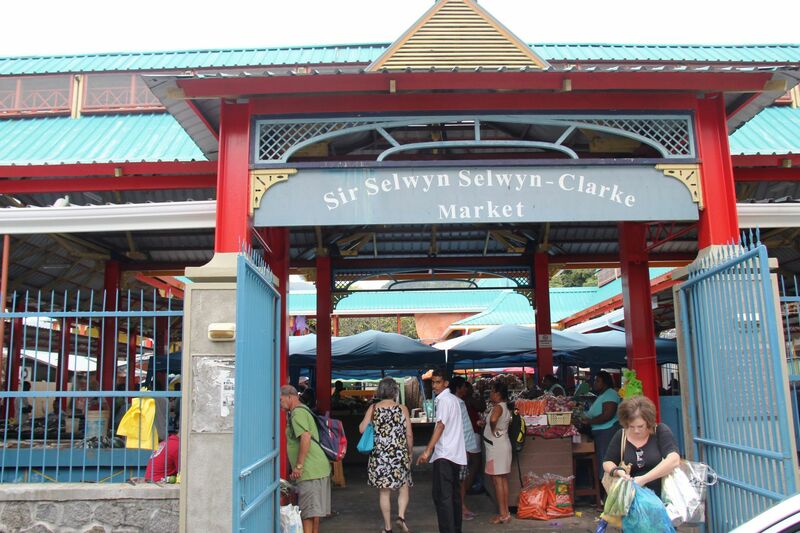 Not far from here is the bustling Sir Selwyn Selwyn-Clarke Market built in 1840 and named after the Englishman who was governor of The Seychelles for four years. It’s the local morning hot spot for daily life and the many colourful stalls of fresh fish, exotic fruits, vegetables and spices are a must to wander around. Of the two cathedrals in town the imposing ghost-white Cathedral of Our Lady of Immaculate Conception is the most dramatic, set within tropical landscaped gardens it’s a lovely place to sit for a few minutes under the shade of a palm on an inevitable sunny day. 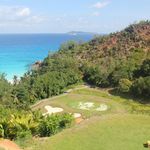 Whilst we’re on the subject of gardens, the five acres of The Seychelles National Botanical Gardens just on the outskirts of Victoria are well worth visiting. 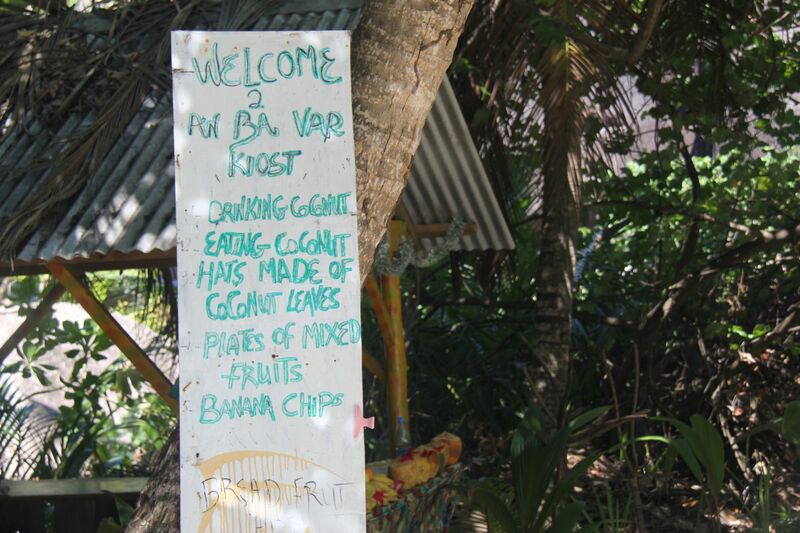 The tropical landscape is also home to fruit bat colonies and remarkable 150 year old Giant Tortoises. The Pirates Arms is a worthy Victoria watering hole for a drink and an informal snack and if you are feeling lucky, there is a small casino in the back! Just opposite is the Natural History Museum, a fascinating glimpse around the wild life of the islands. A few minutes south of town, the new man made island colony of Eden Island is fast becoming a Victoria social spot with its clutch of restaurants, bars, marina and shopping. You can just kick back and gaze at the impressive array of sleek yachts of the super rich. I can personally recommend the burgers and seafood at Bravo! You’ll also find live music here in the evenings. For a short stay, the new Eden Bleu hotel is excellent, with great views of the marina and Mahé’s mountain scenery. 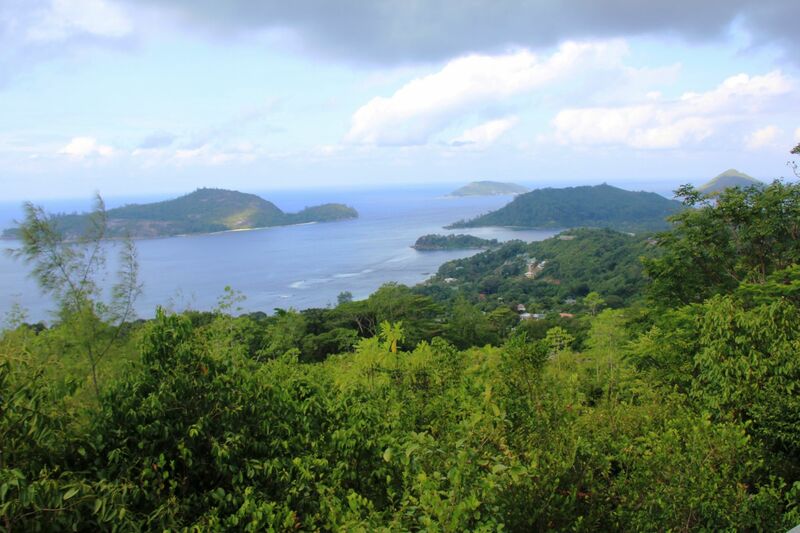 For a sample of some of the best views across Mahe, take a drive up to the ruins of Venn’s Town and Mission Lodge, once a church missionary school and settlement for the children of liberated African slaves in1876. 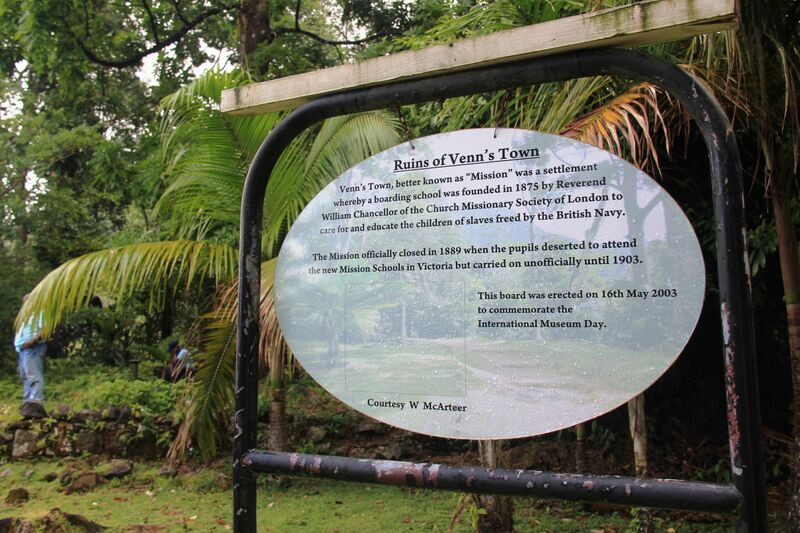 There is no doubting the importance of Venn’s Town to Seychellois Creole roots and UNESCO is currently considering it for inclusion in its list of protected sites. 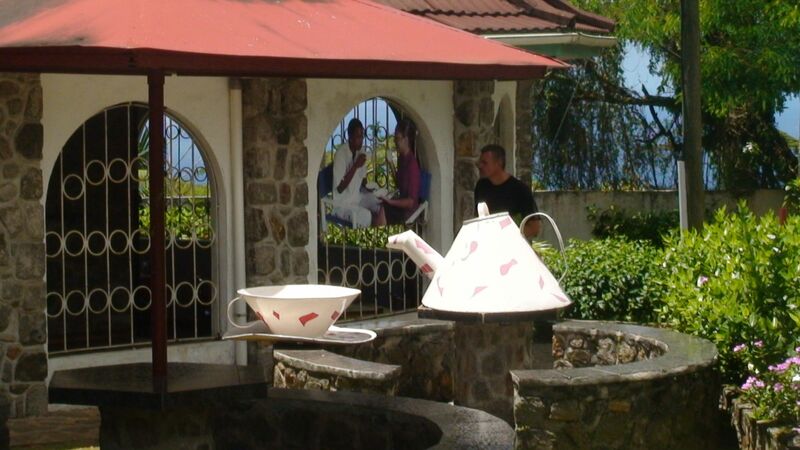 .While you are driving across the island, make sure you stop off for a cuppa at the Tea Factory, the only tea plantation in The Seychelles. A quick tour of how they harvest and make tea is a worthy diversion. 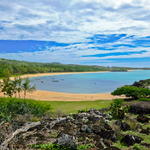 With over 69 beaches to pick from on Mahé you will be spoiled for choice, and it’s just a matter of choosing busy or deserted in my opinion. 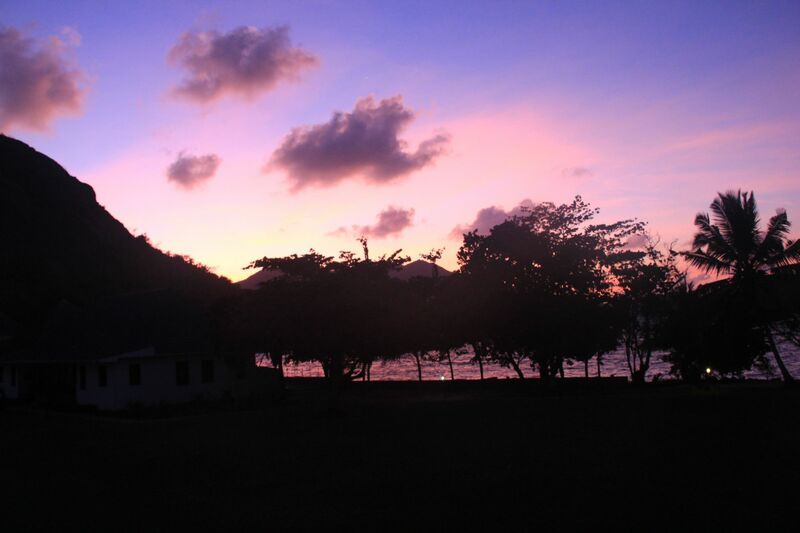 The most popular are Beau Vallon in the north, Anse Royale in the south and Grand Anse in the west. However if you want a more deserted option Barbarons just down from Grand Anse is a perfect isolated bay with just the guests of the nearby AVANI hotel as company. On the north west coast of Mahé you’ll find Port Launay Marine Park a veritable haven for diving to see Whale Sharks. The beach here is beautiful too, and you get access to it via the Constance Ephelia resort. For snorkelers, try Baie Ternay Marine National Park just north from here for plenty of reef snorkelling and just a 20 minute boat ride away is Saint Anne Marine National Park, its shallow lagoons perfect for spotting tropical fish and colourful coral. 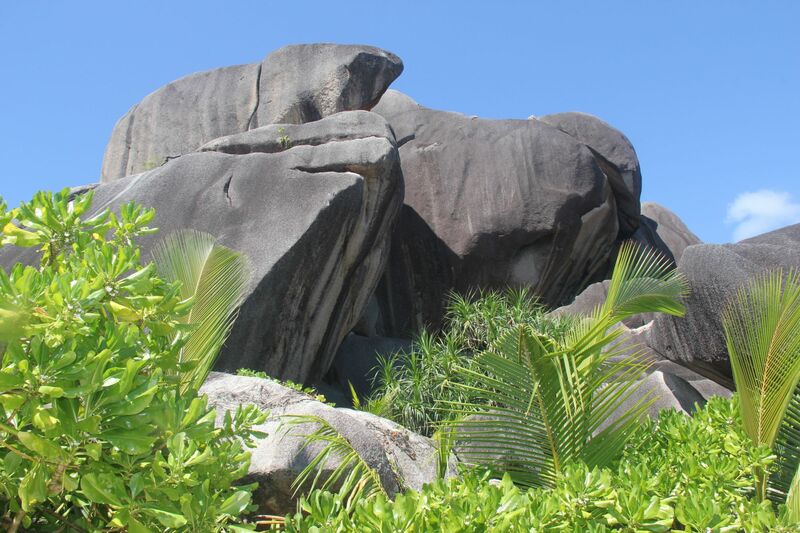 Just an hour from Mahé by the fast catamaran ferry, Praslin, The Seychelles second biggest island is where you’ll find the legendary Vallée de Mai, a place once coined by General Gordon as the original Garden of Eden. This UNESCO protected tropical valley is revered throughout the world because it is the home of the remarkable Coco-de-mer double lobed coconut, the world’s heaviest seed (between 15 and 30 kilos) and the exact shape of the female pelvis! This primeval forest is a natural botanical masterpiece, with over 6,000 Coco-de-mer trees, six endemic palm species, streams and waterfalls and the last natural habitat of the rare Seychelles Black Parrot. 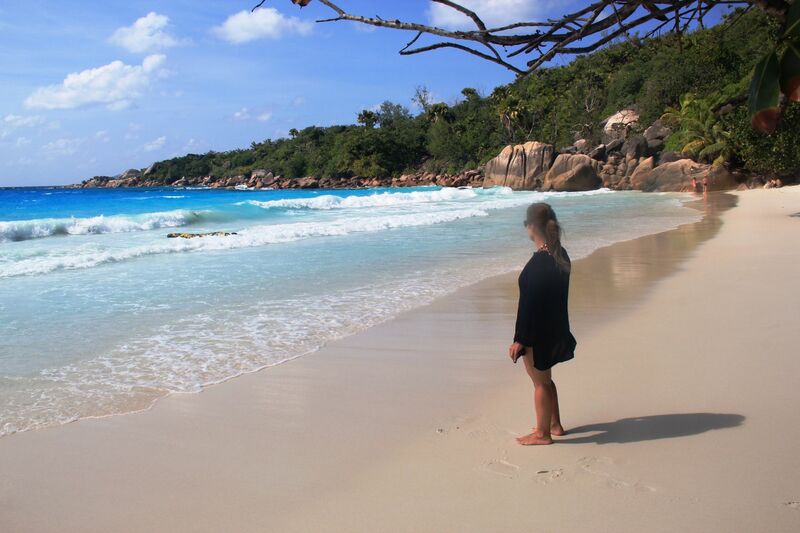 Praslin has totally different feel to Mahé, the vegetation is denser and the lifestyle is a lot more laid back. 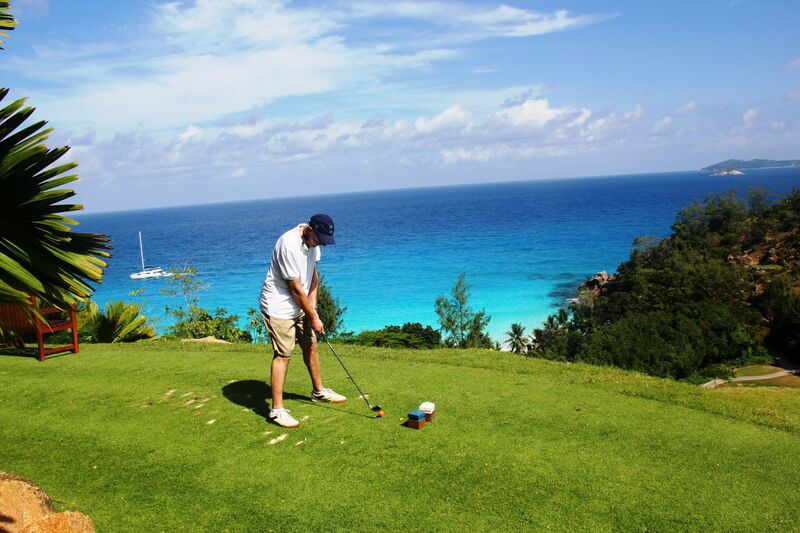 It is a true tropical resort island with some outstanding luxury hotels such as Raffles Seychelles resort and the Constance Lemuria Resort and Spa which is where you’ll find the stunning 18 hole Lemuria Championship Golf course. The draw of Praslin is without doubt its picture post card white beaches with Anse Lazio, Anse Georgette and Cote D’or my firm favourites. 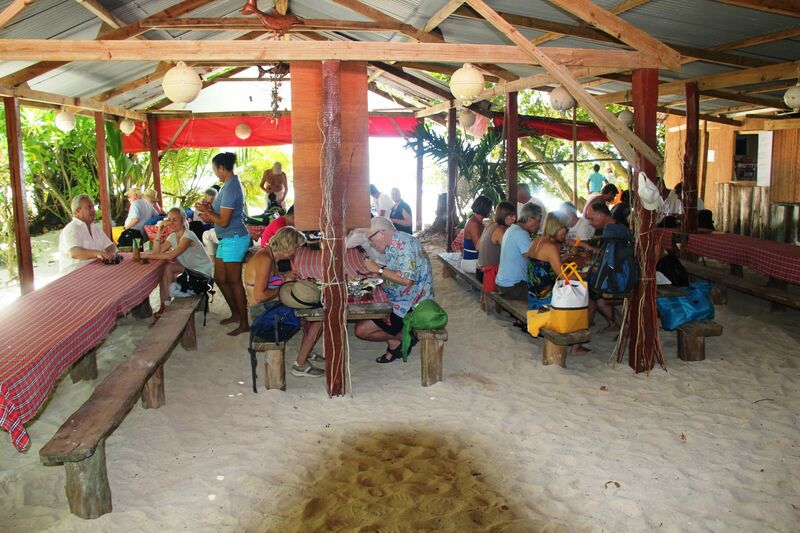 A very popular beach lunchtime restaurant is BonBon Plume right on Anse Lazio, where the seafood is admittedly very tasty althughyou will be surrounded by plenty of other diners, so not a Robinson Crusoe experience. 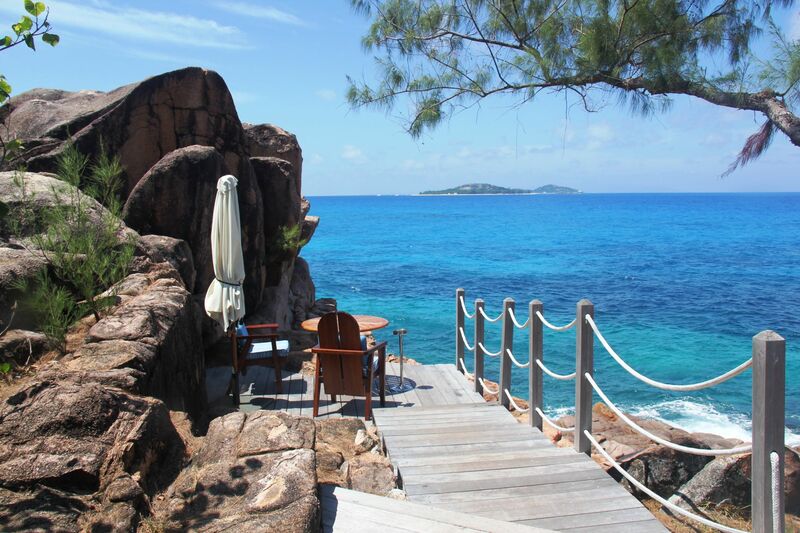 If you crave tranquillity and natural beauty, La Digue will deliver many times over. It is a heavenly place to be. 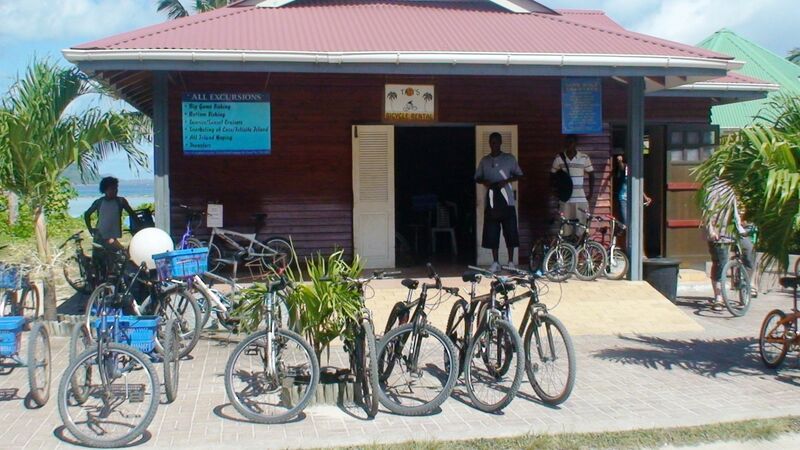 Just 15 minutes from Praslin by ferry and just 3km wide by 5 km long, La Digue is small enough to cycle around, which is the main form of transport on the island and you can hire bikes at the ferry terminal. 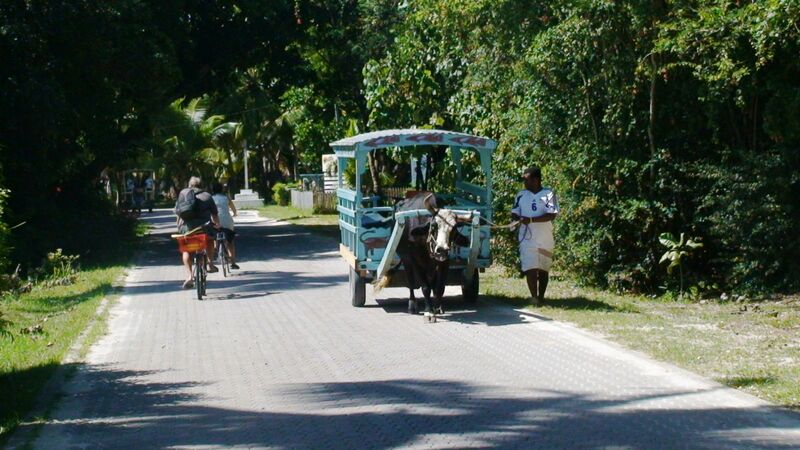 You could take a taxi but as it’s an ox cart, cycling might be quicker! 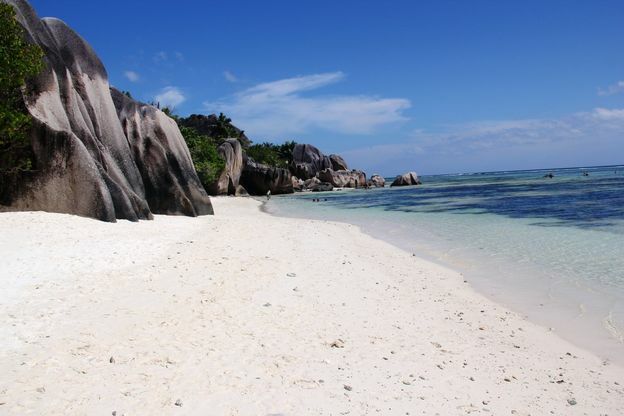 Everywhere you look you’ll find small coves and stunning white beaches to kick back on, but if you want a jaw dropping beach experience, just cycle straight to Anse Source d’Argent. Reputed to be the most photographed beach in the entire world, Anse Source d’Argent is a showstopper; huge granite boulders lay on a heap on top of each other like a child giant’s play bricks, swaying palms fringe the beach offering shady corners and the turquoise Indian Ocean is shallow for as far as the eye can see. 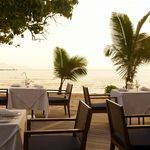 Just a few strides from the beach here is the family run Lanbousir beach restaurant, a local favourite for decades. 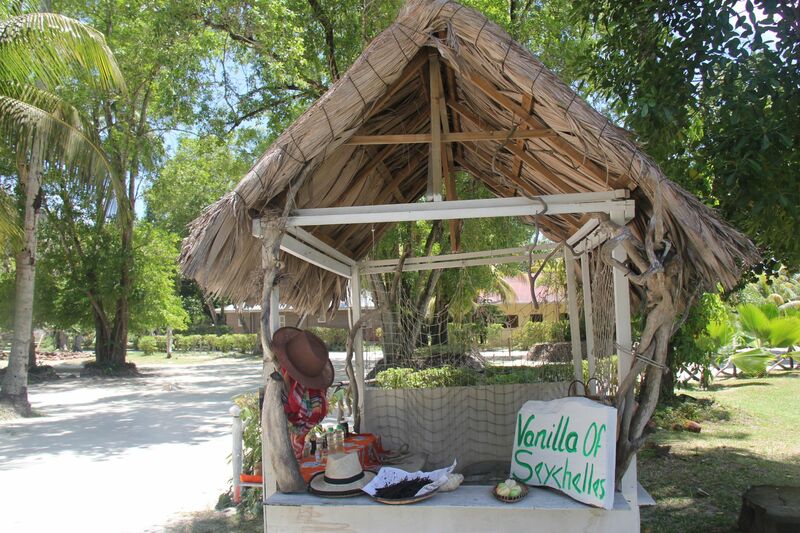 The freshly made Seychellois cuisine with daily specials is delicious .Take a short break from the beach and wander over to L’Union Estate where you’ll find an 18th century cemetery and coconut and vanilla plantation where you can see how oil is produced in the traditional way. The plantation house is a wonderful example of Creole colonial styling and don’t forget to visit the nearby huge Giant Tortoise pen. Back towards the ferry jetty, the Veuve Reserve is where most of the Paradise Flycatcher’s breed, La Digue’s endemic bird species. The reserve’s marshland and canopies are perfect for watching the birds swoop around looking for food. For divers La Digue Island Lodge operates a PADI dive centre while there are countless snorkelling opportunities all around the coast although there are dangerous currents from May to November around Grand Anse, Petite Anse and Anse Coco. Travelbag has been creating holidays for over 35 years and have established themselves as a leader in the tailor-made holiday market. 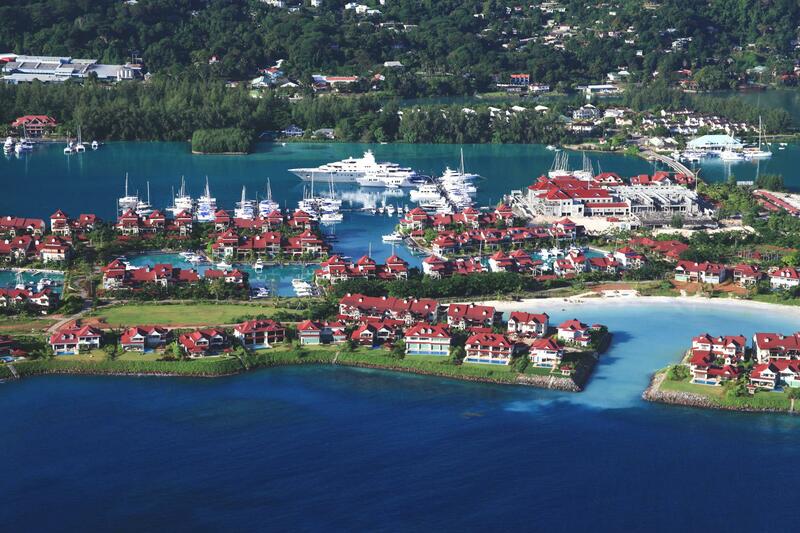 Their portfolio incorporates a huge range of travel options in The Seychelles. For example seven nights at the 4* AVANI Seychelles Barbarons Resort & Spa, staying on a B&B basis costs from £1,199 per person including flights with Kenya Airlines from London Heathrow. This is including one free night and is a saving of £490 per couple.Book by 30 April, for travel in June. Emirates flies twice a day to Mahé via Dubai.